Hong Kong Express Airways is a flight company in Hong Kong with main base located at Hong Kong International Airport in HK. HK Express operates scheduled flight services to cities within China. 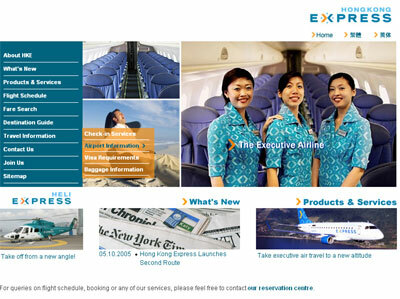 It also offers international flights to. 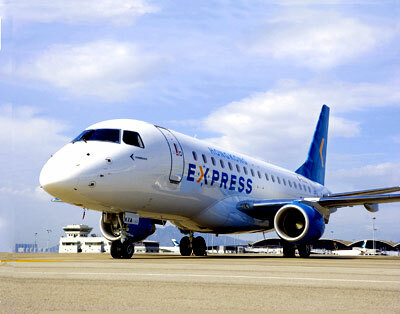 Hong Kong Express has subsidiary flight services in addition to its fixed wing services. The subsidiary companies include HeliExpress, HeliHongKong and East Asia Airlines with bases in both Hong Kong Macau. The Hong Kong helicopter division owns 5 Sikorsky S76C+ helicopters which offers heli flight services between Hong Kong, Macau, Shenzhen and Guangdong in China. Besides that, both companies also operates local passenger charters and aerial works. Hong Kong Express was founded in the year 1997 and flies to 19 destinations in total. The parent company of Hong Kong Express is Hong Kong Express Airways Ltd. Hong Kong Express has plans to increase its Boeing 737 NG passenger aircraft fleet when they receive more rights for flights to destinations in China and Southeast Asia. In fact, the airline has already acquired 2 more Boeing 737-800s (B-KXF and B-KXG) which already introduced flight services in years 2006 and 2007. New destinations which the flight offers include Southeast Asia cities such as Yangon, Jakarta and Kuala Lumpur. Due to the Closer Economic Partnership Arrangement (CEPA) which was introduced, more air services agreement are being made between Hong Kong and China. With that, there is a boost in not only in business travel but also links between the 2 countries. Andrew E Tse, a local aviation entrepeneur has solid reasons to be pleased with his new venture in the establishment of Hong Kong Express Airways. Hong Kong Airways offers numerous flights to cities across China and Southeast Asia. In Korea, Hong Kong Express operates flights to Seoul. In Southeast Asia, the flights include cities such as Bali, Kuala Lumpur, Manila, Bangkok and Phuket.